Dr. Ho joined the practice 12 years ago. 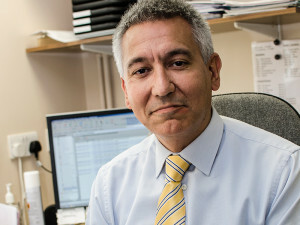 He offers a full general practice service and has developed a specialist interest in Coronary Heart Disease and ENT. He also works alongside other colleagues as a GPSI in palliative care in Bassetlaw Hospice. Dr Garcia-Novoa joined the practice in February 2004. 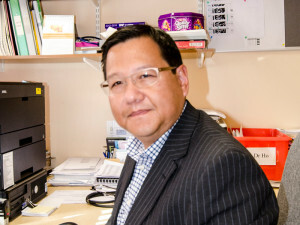 He provides a full general practice service to his patients and he is qualified as a GPwSI in Drug Misuse and is the Practice’s Child Protection Lead. 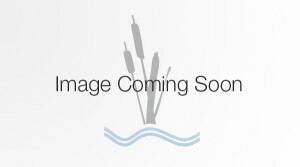 Dr Gopidas joined the practice in April 2008. 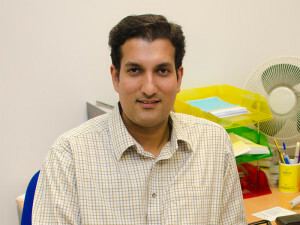 He provides full general practice services and has a specialist interest in Diabetes. Dr. Kelly joined the practice in June 2017, he provides full general practice services and specialises in dermatology, minor surgery, cryotherapy, and pediatrics. He is also Chair of Bassetlaw CCG. Dr Ahmed graduated in 1996 (Dhaka, Bangladesh) and completed his postgraduate training in South Yorkshire in 2008. His clinical interests include Management of Diabetes, Musculoskeletal problems, Mental Health problems and Child Health. His outside interest includes travelling, watching sports and movies. Dr Kirby first joined the practice as a registrar in 2011. She began working at the practice as a salaried GP in 2015. She is the clinical lead for learning disabilities and she is currently involved in writing revision guides for GP Trainees to help them pass their clinical exams. Dr. Polly Backhouse joined the practice in January 2017 having relocated from the Northeast. She is the Learning Disability Lead for the practice, and offers a full general practice service. 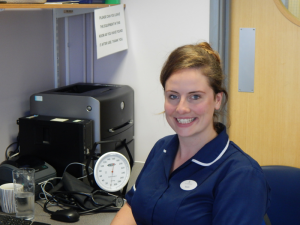 Lindsay Perrin qualified in 2004 from Sheffield University and then and completed both her ANP degree and Nurse Prescribing at Bournemouth University in 2007. When Lindsay is not working she enjoys catching up with friends and going to the cinema. Patricia Jarvis joined the practice in February 2015. She provides reviews for acute and minor illnesses on a daily basis. She has a special interest in respiratory care and holds a clinic once a week for diagnosing respiratory conditions and optimising inhaled treatment. In her leisure time she enjoys hiking and walking with friends and family, she also loves shopping outings with her daughter. Karen joined the practice in July 2016. She sees patients for chronic disease reviews, acute and minor illnesses and has a special interest in diabetes and cardiology. In her leisure, she enjoys mountain biking, hiking, skiing and spending time with her family. 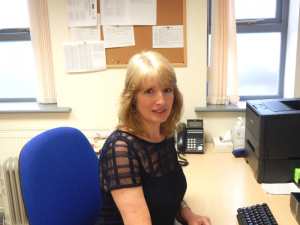 Sue is a specialist nurse in the treatment of diabetes and coronary heart disease and general treatment room. Mandy divides her time between the Retford & Harworth branches. Her specialities include diabetes, asthma, ear care and general treatment room. 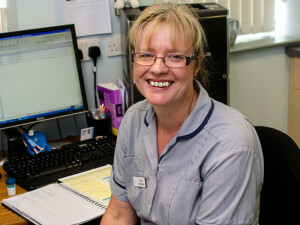 Ditta is an experienced A&E nurse, providing general treatment room checks. Sarah joined the practice in January 2016. Her previous experience was gained from community nursing. She focuses on wound care, general treatment room and holds clinics for Hypertension and CKD. In her spare time, Sarah is a member of two netball clubs, enjoys walking her dogs and spending time with friends and family. In her spare time, she enjoys being with friends and family, cycling, eating out and walking her Pug! Andy’s Health Care Support Worker duties include phlebotomy, INR testing, blood pressure checks, ECG’s, dressings, flu/pneumococcal vaccinations and Healthy Heart Checks. Viki’s Health Care Assistant duties involve phlebotomy, blood pressure checks, ECG’s, biometric measurements for chronic disease reviews, flu vaccinations and healthy heart checks.